In My Creative Opinion: Happy Friday and Tag You're It Reminder! I can't even begin to tell you how strange it feels to not be posting everyday. I feel like I have barely been in my studio and when do get in here I am opening mail, paying bills, doing taxes--ugh! So happy to have my hubby home for a few days, the time goes so fast because there is always so much to do and so much to talk about. Even though we talk, text or even Skype every day, it is so much easier to talk in person. The task this visit is house hunting, with my baby heading off to University this fall the plan has always been that once the kids were done high school we would find something that wasn't in such a busy area. The problem is now we don't know exactly where that is. The checklist is specific--a bungalow, large enough for the kids to still have rooms because I am sure they are not done with us yet, a craft room, a big kitchen, property oh the list goes on and on! It is fun though. Yesterday I got some happy mail from Lucy Abrams. Have you ever seen her gorgeous sequin mixes? Can you believe that my order only took three days to get from the UK to Canada! 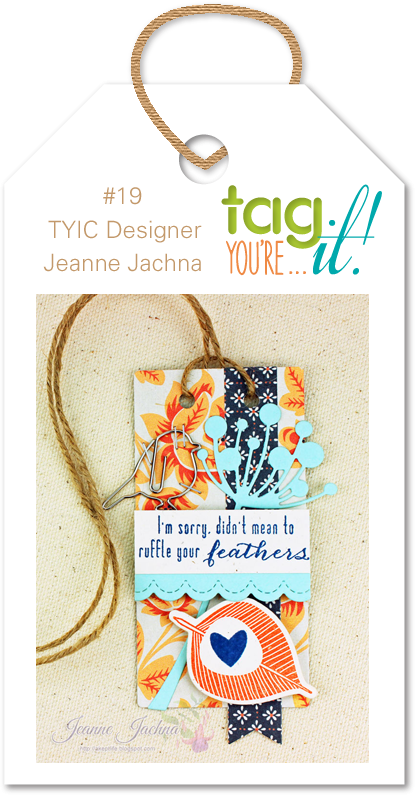 On another note there is still time left to play along with Tag You're It Challenge #19! You have until Wednesday the 22nd of this month to play along, 9;00 EST! I look forward to hearing your "new house" adventures, however long it takes. I cannot believe that the sequins only took three days from the UK to Canada. They are such beautiful sequins, too! House hunting is FUN!! And loving those sequins!!! So exciting to be looking for a new place to live, Tracey! I hope you'll keep us in the loop when you find your perfect destination! oh those look like such fun Tracey. Hope the house hunt goes well and not too stressfull, ha ha right?! Happy Friday to you, Tracey. And happy house hunting. Too bad you can't do an episode on HGTV so we can all watch you make a decision. Have fun house hunting!! Getting to jazz up a new craft room would be fun. Can't wait to see what you so with those pretty sequins! How exciting to hear you will be house hunting. Enjoy the search! Be sure to post about your ventures! I've been admiring Lucy's sequin collections and may have to break down and get some… And only 3 days to get to you?? Crazy! I've been waiting 5 weeks for a Simon Says Stamp order!! Your house-hunting description is exactly what's on my list: an open-concept bungalow, with a craft room for me *grin*, plenty of windows for natural light to come through, a garage, a yard...Dreaming, dreaming! Of course, house prices in Canmore make that close to impossible, but...who knows what may cross our path. Enjoy the search! Have fun house hunting! Those sequins are oh so pretty! Cant wait to see how you use them! !